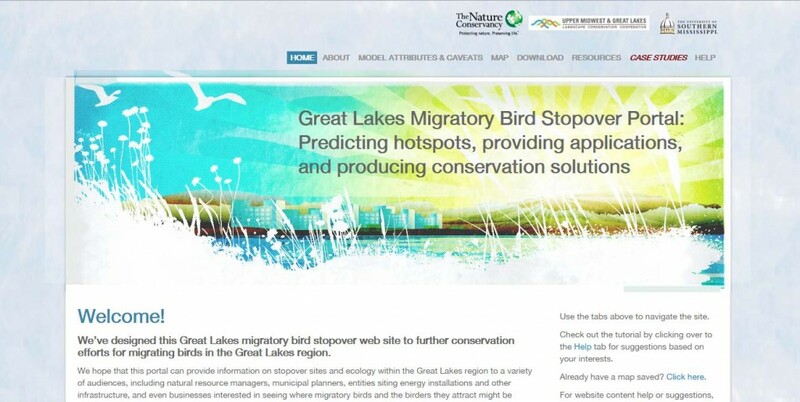 Beware Lake Erie lake shore dwellers – your drinking water is destined to become polluted soon just like Toledo and Flint, Michigan. 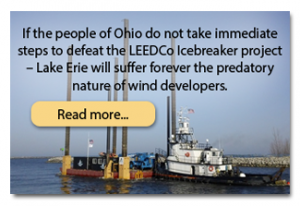 The polluter is dubbed the “Icebreaker”, a Lake Erie offshore wind turbine pilot project, 6 turbines, 8 miles offshore from Cleveland, the brainchild of Cleveland Foundation CEO Ron Richard who is also board chairman of the Lake Erie Energy Development Corp., the project developer. Polluting the drinking water will be accomplished by churning up the toxin laden lake bed for the turbine foundations, churning it up again with jet plows for the turbine to turbine cables, and churning up yet again for the turbine to shore cables. LEEDCo admits sediment can be disturbed during construction and that’s an understatement. The contaminants that have lain dormant at the lake bottom for decades will eventually be sucked into the water crib north of Cleveland and into the city’s water system. 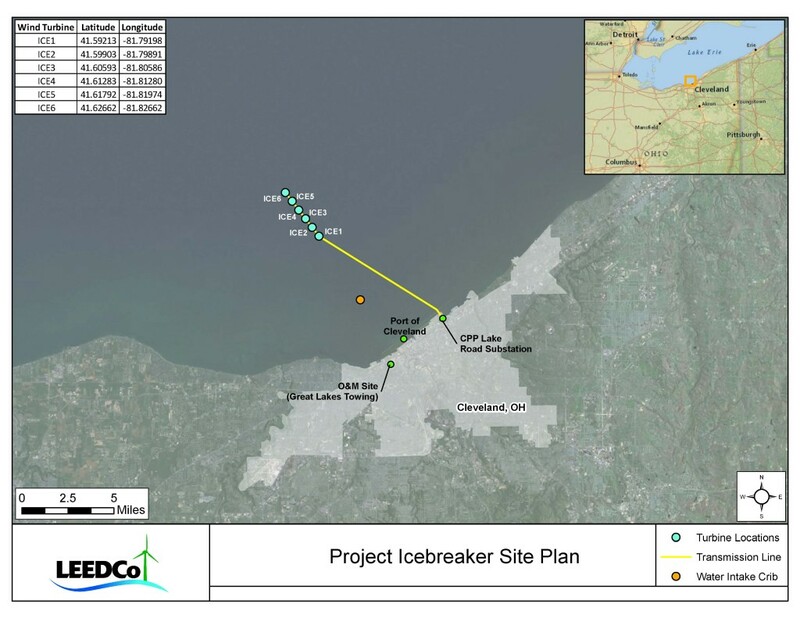 But this isn’t the worst of it – the Icebreaker is merely a pilot project leading to the siting of 1,000+ additional turbines in the lake (by LEEDCo’s own admission), USA side, before 2020. 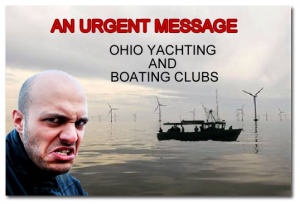 Think about how many cubic yards of noxious substances will be disturbed, suspended in the water and find their way into the water systems of Cleveland and other northern Ohio cities that depend on clean Lake Erie water. Canadians will be affected too and so will Pennsylvania. 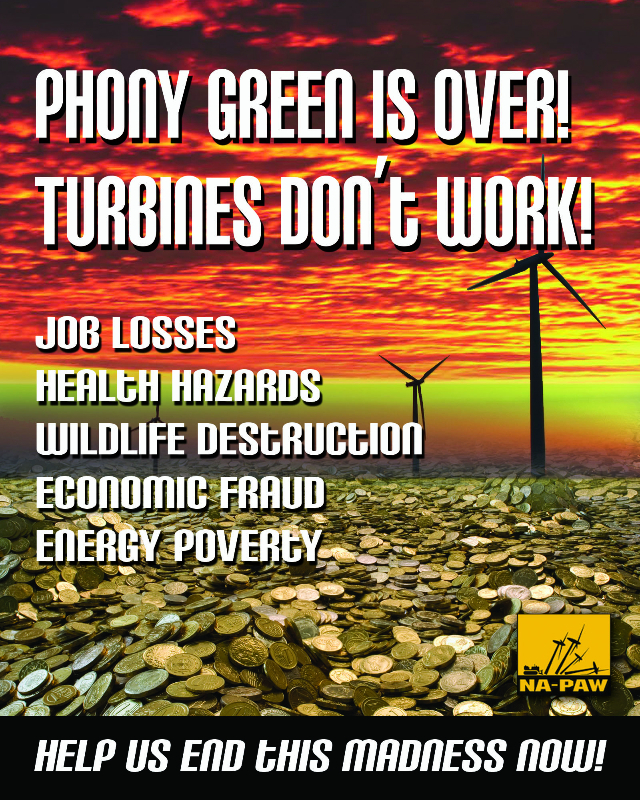 This horrible project is now being sold to foreigner Fred Olsen Renewables along with a US taxpayer grant gift of $40m+ as Leedco bails out after flogging this despicable project for years while squandering $millions in public and private money. Icebreaker Windpower, Inc., is the new Ohio corporation created by Norway-based Fred Olsen Renewables that will now be developing the 6-turbine Icebreaker project. The public should demand an end to this debacle now and protect the water supply before it’s too late.